Paul founded Caring for Ex-Offenders in answer to the need for The Church to support ex-offenders on release from prison and equip them to reintegrate into society. Paul served in the army for 17 years before becoming an ordained minister in the Church of England. He has 20 years’ experience of working with people inside and outside prison, and with socially excluded and vulnerable adults. Paul has recently been appointed Bishops’ Advisor to Prisons and in 2015, was awarded the MBE from Her Majesty the Queen in the Recent Honours list for services to ex-offenders. Nicky Gumbel is Vicar of Holy Trinity Brompton (HTB), a Church of England church in central London. He is the pioneer of Alpha - an introduction to the Christian faith now running all over the world. Nicky Gumbel has written a number of best selling books including Questions of Life, which has sold more than a million copies worldwide. The booklet Why Jesus? and its sister publication Why Christmas? have sold more than four million copies. Nicky Gumbel is married to Pippa. Together they write a daily Bible commentary called the ‘Bible in One Year’ which has over 1 million global subscribers. Born and brought up in Cardiff, Iwan left Wales in 2011 to undertake an internship at Sowing Seeds Ministries in Middlesbrough, working in prisons and communities right across the UK with specific focus on providing pastoral care to children in custody at Hassockfield Secure Training Centre. A year later he moved to York to undertake a degree in Criminology alongside working with the chaplaincy team of Her Majesty’s Young Offenders Institute Wetherby. There he worked providing pastoral support to some of the most difficult and dangerous 15-18 year olds in the UK. In May 2015, aged 21, Iwan was appointed at Alpha International to the lead the team overseeing the development of Alpha in UK prisons. Iain has worked in the police for the last 20 years. He joined the Scottish Violence Reduction Unit in 2011 and leads on the Desistance Through Employability Programme. He has delivered and continued to develop the VRU Tattoo Programme which has successfully transformed the lives of many ex-offenders by navigating them to a better destination, providing mentorship, signposting services and assisting them to gain employment, thus breaking the cycle of re-offending and helping build safer, happier communities. As a co-director of Braveheart Industries, he has set up this company limited by guarantee with charitable status which is being guided by the principles learned via Homeboy Industries from Los Angeles, California. Michael joined the Civil Service as a Prison Officer at HMP Leeds in 1983 and worked in the Prison Service for 25 years at various establishments and at Headquarters. He was a Governing Governor at HMYOI Aylesbury, HMP Wayland and HMP/YOI Norwich. Michael joined the HMPS Agency Board as Director of Operations in 2003 becoming Deputy Director General in 2007. 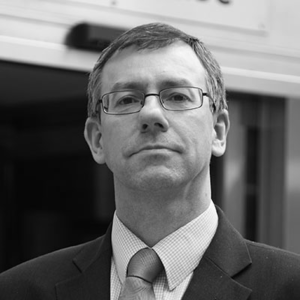 In April 2008, Michael was appointed as the Chief Operating Officer in the newly formed NOMS Agency, taking responsibility for the operational management of Probation and Prisons, leading the work to improve ‘joined-up working’ and to create Probation Trusts. He became Chief Executive in June 2010. Peter originally trained as an avionics aircraft engineer and then built his career in HR and organisation development. He was Head of People Delivery and Shared Services, responsible for the delivery of operational HR services to the British Airways Group. Known as a respected leader of people, Peter has enabled change in diverse environments. As a Fellow of the Chartered Institute of Personnel and Development and previous member of their Organisation Development Faculty, Peter has assisted a number of charitable and professional bodies and believes passionately in the importance of a generous and giving society and a church that lives out Christ’s call to love and not condemn. In September 2016, Baroness Stroud was appointed as the CEO of The Legartum Institute, a London based think-tank committed to measuring, developing and promoting the ideas and policies which help individuals flourish and nations prosper. She took on the role as Director of the Social Justice Policy Group – commissioned by David Cameron in 2006 and Chaired by Iain Duncan Smith to develop Conservative Party social policy. Philippa became Special Adviser in 2010, to the Secretary of State for Work and Pensions, and in 2012 additionally to the Prime Minister. Following the 2015 General Election, she was ennobled and returned to run the CSJ as its Chief Executive. Nikki was raised in the jungles of West Papua amongst the stone age Dani tribe. During her secondary school years she went to boarding school in Papua New Guinea before later returning to the UK. She has worked in the prison service for more than 16 years, in some of England’s busiest prisons - most notably HMP Swaleside on the Isle of Sheppey, and HMP Pentonville in Islington. She is currently Deputy Governor at a high security prison leading a team of around 800 staff and agency workers. She has a Masters in Criminology and Management at the University of Cambridge. Her research into knife crime was published as a book called 'Why carry a weapon?’ and referenced in the House of Commons. She is church warden at St Barnabas Church, North London. 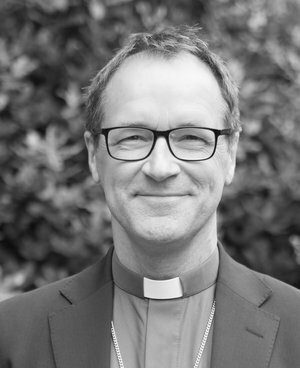 The Rt Revd Dr Graham Tomlin is Bishop of Kensington and President of St Mellitus College. He was a curate in Exeter, before returning to Oxford as Chaplain of Jesus College and tutor at Wycliffe Hall, where he eventually became Vice Principal. He then moved to London to help launch what eventually become St Mellitus College, of which he was the first Principal. He is the author of many articles and books. He is married to Janet and has two married children. His interests include football, cricket, golf and rugby, and Middle Eastern politics and history. Dr Sinclair trained in Medicine and Surgery at the University of Leeds then went on to complete GP training in York gaining his membership of the Royal College of General Practice in 2007. In 2011 he took a Lead GP role in a cat C Prison and has worked in a variety of Prison settings, with specialisms in pain management and primary care management of personality disordered prisoners. Having survived Malignant Melanoma and retaining his faith and a strong sense of destiny, he aims to live life to the full. David is a minister with Assemblies of God and has been a prison chaplain for about fifteen years. In April 2013 he was appointed Managing Chaplain at HMP Onley where he leads the multi-faith chaplaincy team. David is very enthusiastic about getting church leaders into prison, and breaking down the walls of separation to help those who worship as part of a prison community integrate into life as worshippers ‘on the out'. Jo is a Prison Chaplain and has been involved with the ex-offender ministry at HTB since the 1990’s. Jo is responsible for the welfare of the ex-offenders that are supported through CFEO at HTB and runs Alpha in Pentonville, along with training and supporting volunteers in a number of prisons. Jo is passionate about seeing men and women fulfil their God given potential and being integrated into Christian community. Linford and Esther are Reflex Outreach Workers based in HMP Oakwood, near Wolverhampton responsible for delivering Outreach, Character Development courses and Chaplaincy Programmes. Linford also works as a part-time Free Church Chaplain in the same prison, while Esther, a former teacher, oversees the development of the Reflex work in the West Midlands and manages the myLife Character Development programme. They both share a passion for seeing young adults’ lives transformed. Andrew is a minister of Assemblies of God, a prison chaplain since 2007 within HMYOI Wetherby. Andrew is passionate about providing the young men who leave custody with the help and support they need to turn their lives around and was a key player in the birth of In2Out, a non-geographical Community Chaplaincy project for 15-21yr olds. Suzy is the Chief Executive Officer of C2C Social Action. She and her team work with anybody at any stage within the Criminal Justice System but specialise specifically with women in this situation. C2C run a successful women’s centre with a ground-breaking onsite artisan bakery providing training and employment opportunities for female offenders. Terry Wilcox has led the work of In2Out, a ‘through the gate’ mentoring scheme for children and young people, for the past three years. Working with youngsters in custody at HMYOI Wetherby and out in the community, Terry also brings more than 25 years experience in management roles in the commercial sector to the In2Out team.